Hello all! 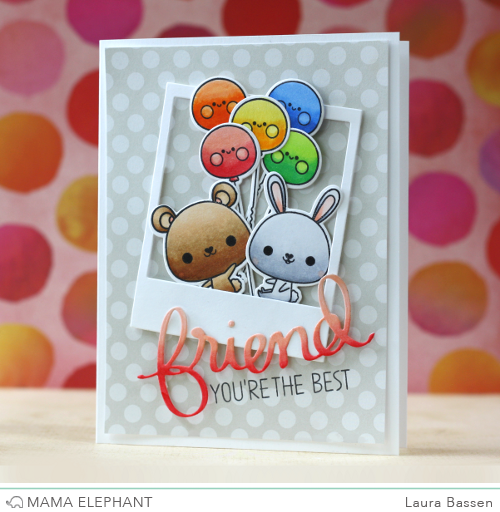 Welcome to our last day of Stamp Highlights with Friend Indeed. Go on, let's tell our friends how special they are! 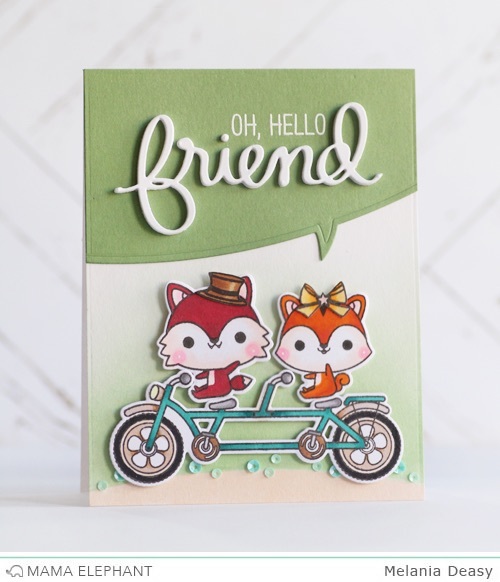 Laura combined Tandem Ride & Tandem Extras with the Polaroid Fun die to create this fun scene. Deasy made this cute card with a fox and a tiger riding a bike. She then added a hat from Polar Pals for the fox and a ribbon from Shooting Star for the tiger. To highlight the sentiment, She used Speech Trio creative cuts. 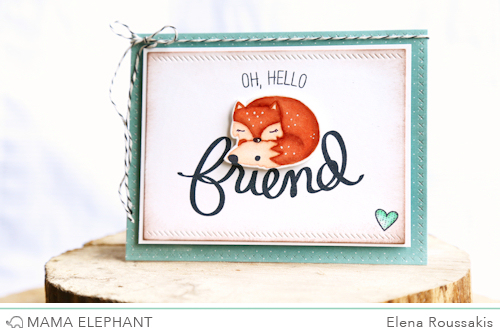 Elena made a sweet card for a foxy friend, layering the beautiful "friend" script over the adorable fox. We love the no-line coloring technique she used to color him in! 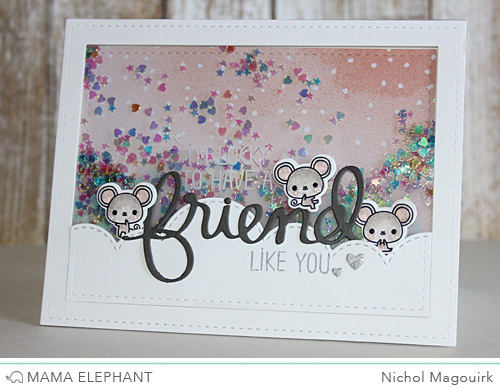 The cute mice from Tandem Ride make the perfect addition to the Friend Indeed greetings and die on this friendship shaker card. 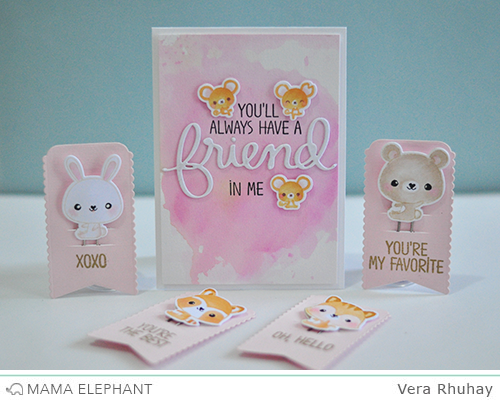 Vera had so much fun making these paper clips and they work perfectly well with the new "Friend Indeed" stamp set! I love this word die! Very useful! The DT's card are adorable!!! All of these friend cards are just fabulous! I love the paper clips. Such a fun and cute idea. So cute. Love the photo. What a great design! This is adorable~! Just love all these cards. They are so adorable! These are all so adorable, I really love the paper clips-very clever! Your DT girls are AMAZING! Every one of these cards and tags are absolutely fabulous!! !